A little gift I've prepared for TysonTan's Birthday today (Aug 29). 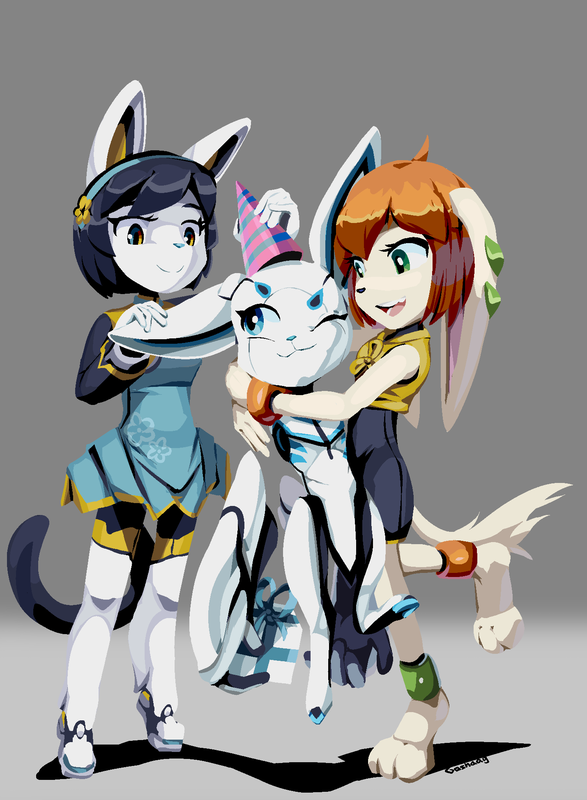 Crossover between FP2 and his own project titled Electric Hearts, featuring his characters Alice Rosetta and Cloud White. Your art is amazing. I mean, really, this is impressive. this is just so lovely and kind >w< thats some of the best kinds of art out there. TysonTan does great work but I think this will blow him away! Well done! I followed TysonTan's works for years, from way back when their DA gallery was shared with totem.v..